“The Combat Singles” got your attention, “From the Depths” set your anticipation on a slow boil and the EP is rolling along in the studio full-steam-ahead!! I know it’s still a couple months of waiting until the release… so with the help of my awesome girlfriend I’ve pulled together some resources and have a little something to help pass the time. Alright you subfreq-vultures! Get your Anodyne Industries Stickers now! We’ve printed off a limited run of these suckers and don’t expect them to last long. If you’re at one of my shows or see me on the street I’ll have these on me so feel free to ask for one. Or two! For those of you who don’t live around here I can still hook you up. Just send me an email with your address and I’ll send them to you. 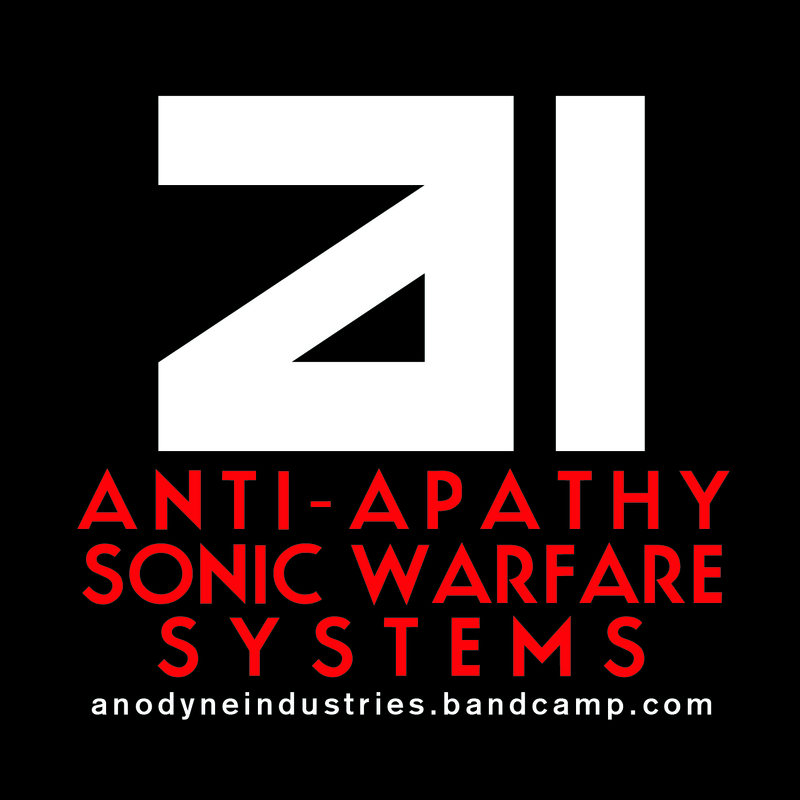 Of course, if you’re serious about the Anodyne Industries project and want to start your own local platoon of the Anti-Apathy Sonic Warfare Army we can work out a way for me to send you a “street team” pack of stickers (for a very small fee). Just let me know!